As a WWE Superstar, 15-time World Champion and the current United States Champion, John Cena combines his athleticism, charisma, strong work ethic and genuine personality to make him one of the brightest stars in WWE. An actor new to many fans of funny movies, Cena now stars in Universal Pictures’ hit comedy “Trainwreck” as Amy Schumer’s well-meaning boyfriend Steven—a committed guy who wants to make an honest woman of her. Although they have been seeing each other regularly when our story begins, Amy just can’t seem to remain faithful to Steven, who is deeply upset to discover sexts from other men on her cell phone. 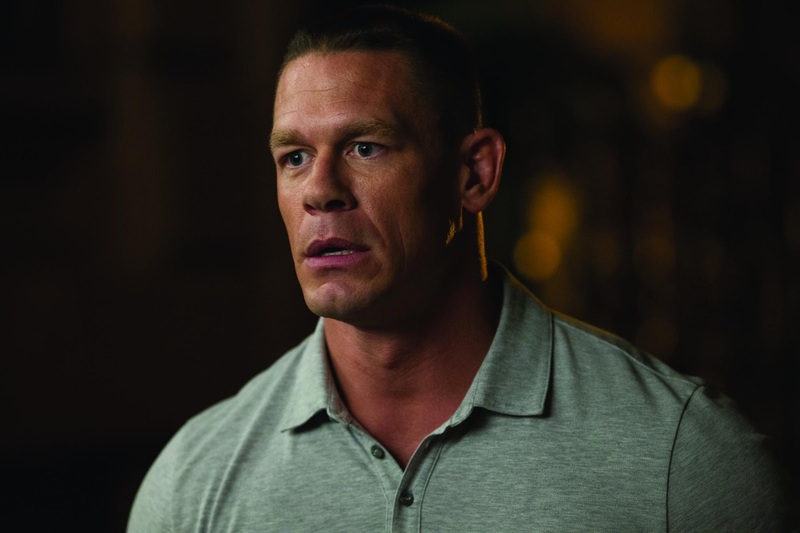 Cena was such a hit in “Trainwreck” that he already has a follow-up comedy. He will appear with Tina Fey and Amy Poehler in “Sisters” in January 2016. In “Trainwreck,” it’s been drilled into Amy’s (Schumer) head ever since she was a little girl that monogamy isn’t realistic. Now a magazine writer, Amy lives by that credo—enjoying what she feels is an uninhibited life free from stifling, boring romantic commitment—but in actuality, she’s kind of in a rut. When she finds herself starting to fall for the subject of the new article she’s writing, a charming and successful sports doctor named Aaron Conners (Bill Hader), Amy starts to wonder if other grown-ups, including this guy who really seems to like her, might be on to something.